Fresh Harvest Darjeeling, is as fresh, as Beaujolais Nouveau, and as appreciated, as Champagne. First harvest of the year, air-shipped: the freshest the tea gets. Darjeeling Risheehat Organic comes from the Risheehat tea estate, which started production of premium Darjeeling teas in the 1900s. 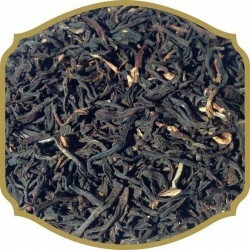 Despite the fact that the way of running of the estate had certain changes, yet the quality of the teas has always been estate's unique selling point. 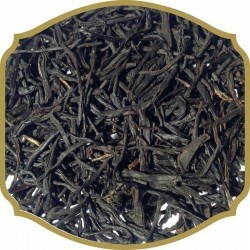 The colour of dry leaves remind more of a green tea than black one, and the taste is so delicate that one could even compare it to oolong tea. Yet one feature of Darjeeling, which is hugely beloved by many, is there - its muscatel taste notes (like muscatel grapes used for the production of Champagne) and light bitterness, that beautifully resemble Champagne. Every year Fresh Harvest Darjeeling comes in limited supply - check whether any is still available in stock.